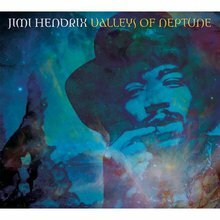 Wow -- Super Wow - 12 previously unreleased studio recordings of the all time legendary Hendrix. Hendrix's interpretations of Bleeding Heart by Elmore James alone makes it a must have cd - if you like the blues - your collection will never be complete without this amazing addition - without hesitation - a cd well worth owning! This was not one of his better works. Two other songs conflict with each other so you are left scratching your head! Peace in rest!